One of the most beloved games of all time is being remade by Square Enix, but it's not exactly an easy undertaking. Releasing right around 20 years ago in 1997, Final Fantasy VII is a landmark game for the gaming industry, and is generally praised as one of the greatest JRPGs ever made. Square Enix has finally decided on undertaking the mammoth task of remaking the beloved game, but with a slightly different release model. This page will round up all the information we have about the Final Fantasy VII Remake, such as Final Fantasy VII’s release date, every brand new trailer for the game, and every announcement of progress made in developing the game. While one might think the 20th anniversary would be the ideal time for the Final Fantasy VII Remake to release, the prospect of this is looking increasingly unlikely, with the recent announcement from Square Enix that they’d be taking back complete control of development, for “quality control” purposes. Bearing this in mind, we can only guess at a release date for the Final Fantasy VII Remake. On top of this, the game is actually releasing across three separate titles, much like Final Fantasy XIII told one cohesive story over the release of three individual titles. Don’t expect to see the first release until late in 2018, but we may well be waiting even longer than that. It’s not out of the question that we’ll see or hear something about Final Fantasy VII Remake at E3 2017 later this month. The first teaser announcement for the Final Fantasy VII Remake came almost two years ago, with Square Enix releasing the trailer below at E3 2015. 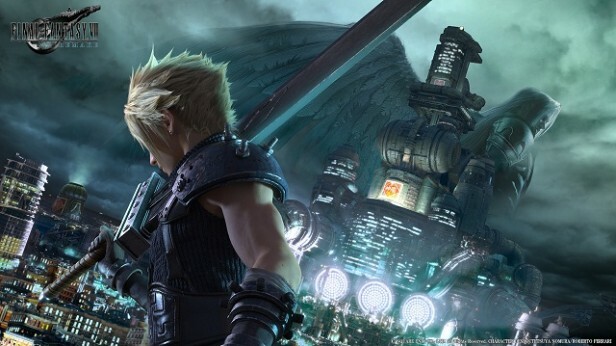 The small trailer briefly showed the city of Midgar, before showing a quick shot of protagonist Cloud with his hefty sword. The second teaser trailer, which arrived later that same year at PSX 2015, was the last time we saw any footage of the Final Fantasy VII Remake. This trailer showed off the battle system, which looks a lot more like the real-time system in Final Fantasy XV, instead of the turn-based system that was in the original game back in 1997. Final Fantasy VII Remake will be using single character models throughout the entire game, instead of switching to different character models between combat and exploration. We also saw brief glimpses of other characters besides Cloud for the first time, such as Aerith, Tifa, Scarlet, and Junon. These are just a few of the characters that will be accompanying Cloud in his quest to take down the evil corporation Shinra, and all of these will be brought to life by the Unreal Engine, instead of the Luminous Engine that Final Fantasy XV used. Outside of the two teaser trailers released by Square Enix, the only other time we’ve seen anything to do with the Final Fantasy VII Remake was when the publisher released the image below, depicting Cloud and antagonist Sephiroth. This was to mark the 20th anniversary of the original release of Final Fantasy VII back in 1997, and although many people were expecting a full trailer, this image would have to do. This is all the information we have to go with the Final Fantasy VII Remake, but keep an eye on this page, particularly over E3 2017, as we’ll be updating this page with any new announcements Square Enix makes.